Are you running a business in Poland or several EU countries and want to enjoy full support in legal and tax matters? Affiliating law firms from Poland and a few other countries of Europe, the ECDP Group delivers a complete range of law consultancy services tailored to your business profile. We recommend ECDP as a professional partner providing comprehensive tax consultancy services. Their experts are a guarantee of professionalism, completing every task in a timely and careful manner. It is with utmost confidence that we recommend ECDDP as a competent, reliable and responsible partner. The day-to-day tax consultancy provided by ECDP for our company include in particular the preparation of opinions on tax law issues and the analysis of aspects of business ventures. Our cooperation with the ECDP team is always to the highest professional standard. 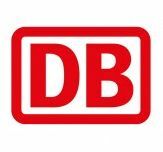 DB Cargo Polska S.A. recommends their services. complete management of incorporation, liquidation, merger, division, and transformation processes. In 18 countries of the world, the ECDP Group offers extensive support for businesses across all areas of law. Should you have any detailed questions about our services – we will be happy to answer.